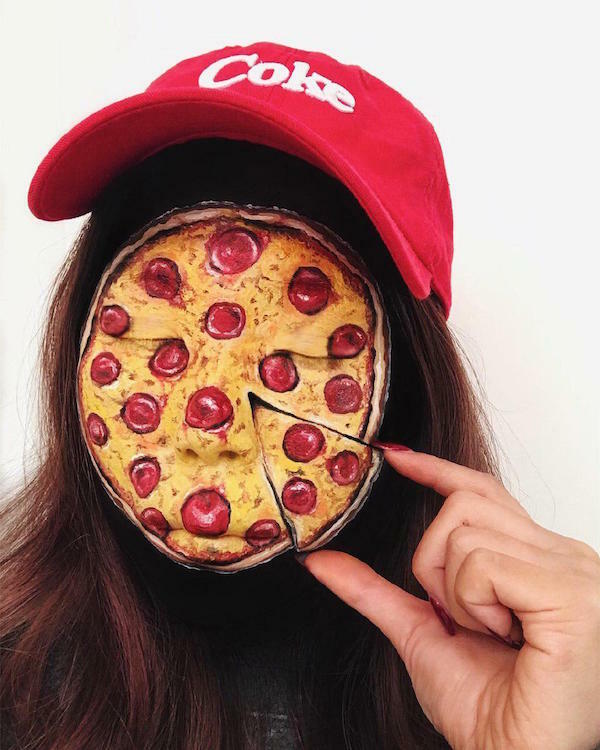 Vancouver-based makeup artist Mimi Choi creates over-the-top optical illusion looks that—believe it or not—aren’t photoshopped, and she has the videos to prove it. Choi takes on objects of multiple spheres: her hyperrealistic makeup effects span from the supernatural to food and animal themes. At time of publish, the artist’s surreal creations have amassed her 464,000 dumbstruck followers on Instagram. Check out some of Mimi Choi’s marvelous makeovers and head over to her Instagram for more. Don’t make eye contact.  • MANGA EYE X 6 for Halloween 2017! It was really fun going out like this tonight and confusing everyone on the streets.  I used @makeupforeverofficial @makeupforeverca Aqua XL Color Paints, Ink Liners, @houseoflashes @kryolanofficial and @elevationlashes falsies for this look. Took 4 hours. This look was inspired by this manga eye T-shirt I bought from @ikeacanada. The anime eye effect was inspired by the talented @missgaymatte!  Hope everyone had a fun and safe Halloween. P.S. I hate firecrackers.